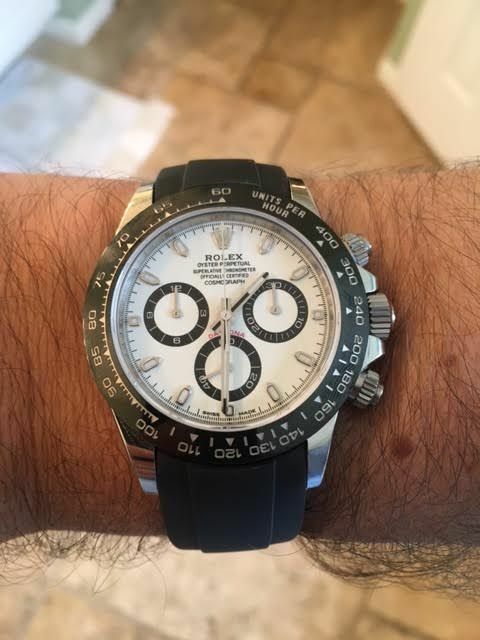 Some pics of the Daytona C on nato and Everest. Don't like the Everest on this one as much as I do on the Sub. The black nato with black hardware is pretty good on this one. I'm on the list for a white one.....I have a feeling I'll be waiting for a long time. 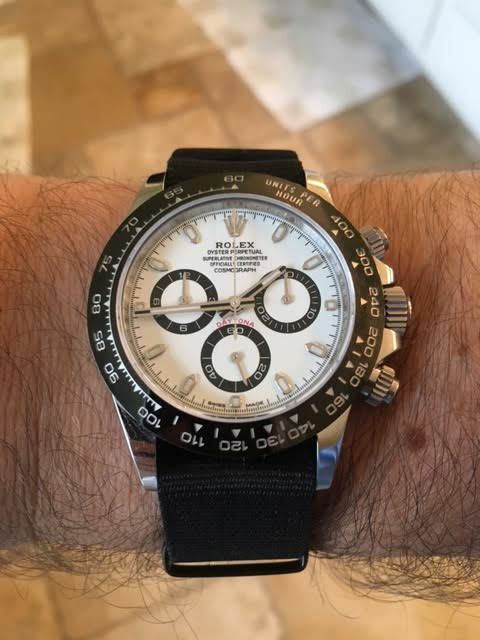 I think I could be done with the white DaytonaC. Leave it on the bracelet! Absolutely killer. I like the Everest. Loving mine on the RubberB. 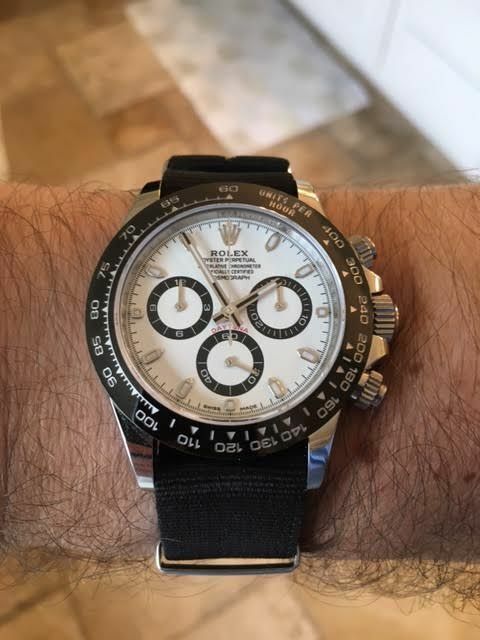 Hmmm, not sure the white dial and black strap work for me. 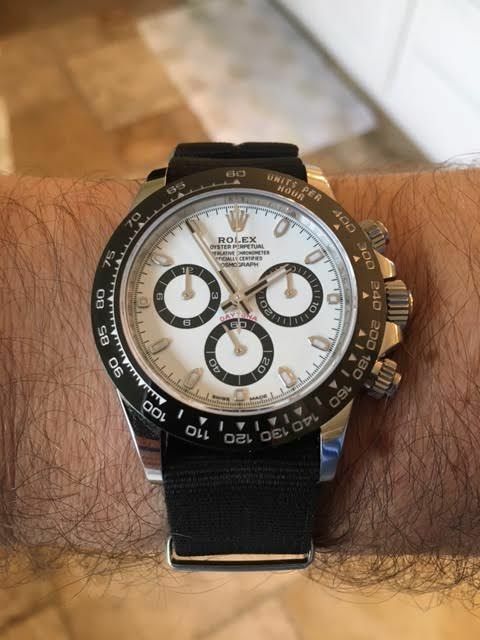 Maybe a grey strap?